James Deane. The name rings a bell doesn’t it. No, this isn’t a misunderstood teenager without a cause, rather a talented musician armed with a guitar, a few hundred songs and a voice that will take your breath away. 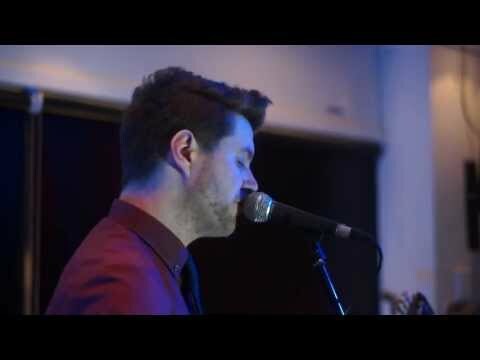 One of the UK's most in-demand musicians, James' skills as a vocalist. guitarist, composer and arranger have thrilled audiences far and wide. As well as releasing five of his own albums and performing on many others, James has proven that he is a world class performer having shared the stage with acts as diverse as Green Day, Stereophonics, Muse, Tom Jones, Roxette, The Verve and Catatonia. James has a reputation as one of the finest solo acoustic acts in the UK and can cover a wide range of musical styles, perfect for any occasion! Now you can book James Deane to add something special to your next event. Whatever the occassion, every event can benefit from the addition of music from an artist as special as this. Enquire Now and get an instant, free no obligation quote. So forget that film star guy and hire the real deal, James Deane. Sorry, James Deane doesn't have any photos right now Send us an enquiry and we'll get back to you, or check out the rest of the act profile. James is a great entertainer and played a great mix of music. We had many guests say how much they enjoyed it! James Deane's performance was amazing. He's exceptionally talented, kept the dance floor filled and we felt privileged to have him entertain everyone at our wedding. ?We wanted to write to say thank you for playing at our wedding on 17th October.